I'm going to offer suggestions on things to get us all motivated to Spring Clean, including myself! Some of these tips may not apply to you so feel free to come up with your own daily goals as you wish. Coupon check! The end of the month is near and I like to go through my stash to pull out the coupons that only have a few redeeming days left. Go through coupons and remove any that have expired or those that will soon expire. Put aside those that you do want to redeem in the next couple of days. This is a great way to see what coupons you haven't used yet but really wanted to, before they expire on you! 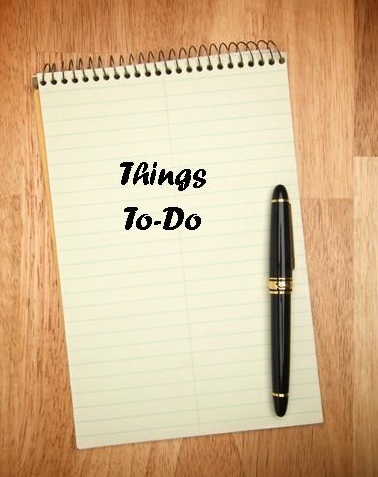 To view the past Things To-Do on our list, click here.